The 39th Academy Awards, honoring the best in film for 1966, were held on April 10, 1967 at the Santa Monica Civic Auditorium in Santa Monica, California. They were hosted by Bob Hope. The ceremony is somewhat infamously remembered as the year in which The Good, the Bad and the Ugly didn't receive any nominations. 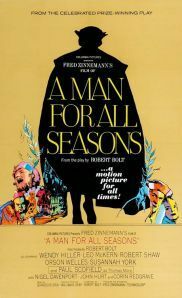 Only two of the Best Picture nominees also had nominations for Best Director; Fred Zinnemann's lavish and thoughtful biopic A Man for All Seasons and Mike Nichols' bold and taboo-breaking drama Who's Afraid of Virginia Woolf?. Both were adaptations of stage dramas.